Secret Healer – Season 1 (2016) – What's New on Netflix Canada Today! Mirror of the Witch (original title) – Can a young royal physician change the fate of a cursed princess? When Queen Shim (Jang Hee Jin) is unable to conceive, she visits the shaman Hong Joo (Yum Jung Ah). Hong Joo’s powerful black magic helps the Queen give birth to a twin boy and girl, Soon Hwae (Yeo Hoe Hyun) and Seo Ri (Kim Sae Ron). But the dark sorcery comes with a price when Seo Ri is cursed, causing her to be abandoned and left for dead by the Queen. Seo Ri is rescued by the father of Poong Yeon (Kwak Shi Yang), who becomes her only friend as she grows up in hiding. 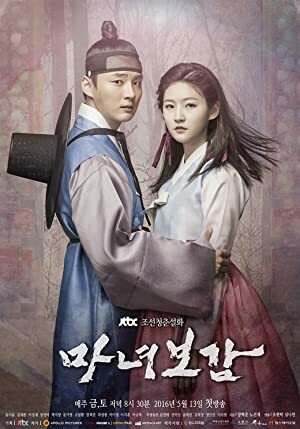 With Poong Yeon and her helper, Choi Hyun Seo (Lee Sung Jae), by her side, Seo Ri grows up as a witch, all the while trying to figure out how to lift the evil curse on her life. When Seo Ri meets the royal physician Heo Jun (Yoon Shi Yoon), will he help her change her fate and reclaim her rightful place?